There’s nothing more I love then an event that showcase the great culinary finds within our city. Toronto’s gastronomic scene is constantly involving and refining our collective palette as we grow together. Whenever I get a chance to taste a multitude of eateries within the same night without the need to teleport, I get overly excited and blissful. Eat to the Beat is one of my favourite events and it has a special place within my heart as it showcases all the amazing female chefs and their dishes. This year, 60 female chefs came together to cook in support of the Canadian Cancer Society at Roy Thompson Hall and it was truly a night to remember and savour. Eat to the Beat is one of my favourite culinary events and it will return on October 17th at Roy Thompson Hall. 60 female chefs will be coming together to cook up a storm for The Canadian Breast Cancer Foundation. I was lucky enough to attend the event last year and captured many of the chefs in action and tasted their dishes. It’s a fun night to sample some of the city’s best plates to support a great cause and put a spotlight on the amazing women within our food industry. If you wish to taste 60 dishes in one night, without the need of teleporting all over Toronto and support breast cancer research, check out Eat to the Beat and get your tickets here. A photographic and video recap of Toronto Taste, the culinary event in support of Second Harvest and the food services they provide within Toronto. Recently I attended Dixonlicious, the annual food event hosted by Dixon Hall. 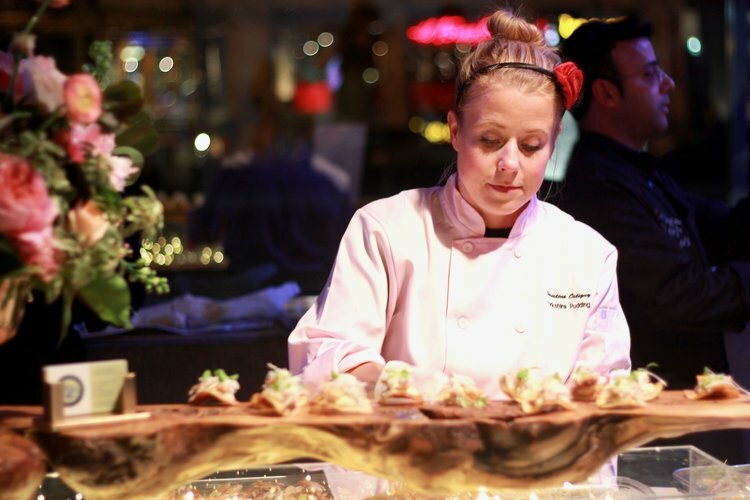 It's a night of culinary celebration in support of vital food programs. The night was a chance to fund raise for services that bring hot meals to senior homes and homeless shelters as well as providing breakfasts and snacks for students. So many great food friends came out, Linda from Starving Foodie, Natalie from Cooking Quidnunc, and Mary from Mary's Happy Belly. There were also lots of great vendors showcased their gastronomy talents. Watch the video above for my recap of the night. For over twenty years Eat to the Beat has been bringing female chefs together to showcase their talents in support of The Canadian Breast Cancer Foundation. This year, on November 1st, 60 of Toronto’s best female chefs came out and brought their signature dishes to the event. 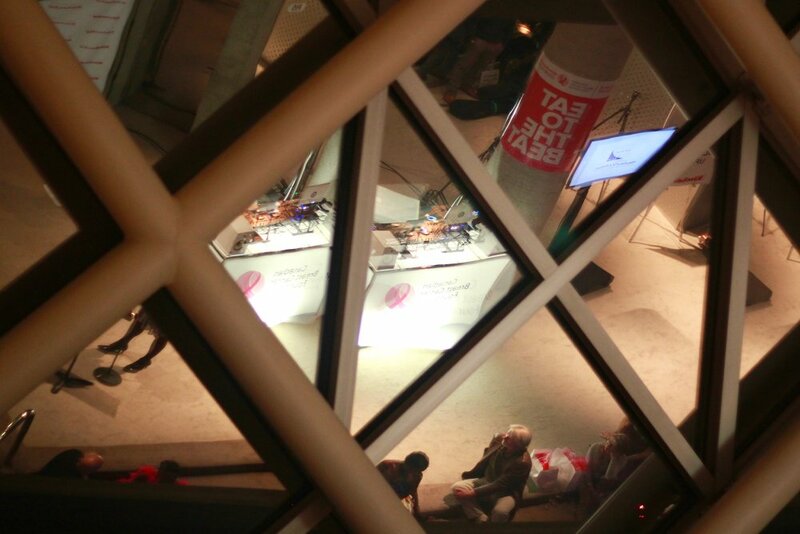 The venue, Roy Thompson Hall was filled by attendees as live music from a violinist and a DJ duo offered a musical backdrop. Breast cancer survivors also sported creative and festive corsets through out the evening. It was the perfect night to taste the best of the city while supporting a worthy cause. Here are some of the faces and food from the evening. On November 1st, 60 remarkable female chefs will come together to showcase their talents for one worth cause at the Eat to the Beat event, benefiting breast cancer. Held at Roy Thompson Hall, this event is a chance for food lovers to come together and sample some of the best dishes of the city. Chefs from Colette, Mildred’s Temple, The Drake Hotel are amongst the many establishments in participation.